SYLVIAERA Dance Company makes you dream with all its very own styles of choreographies! 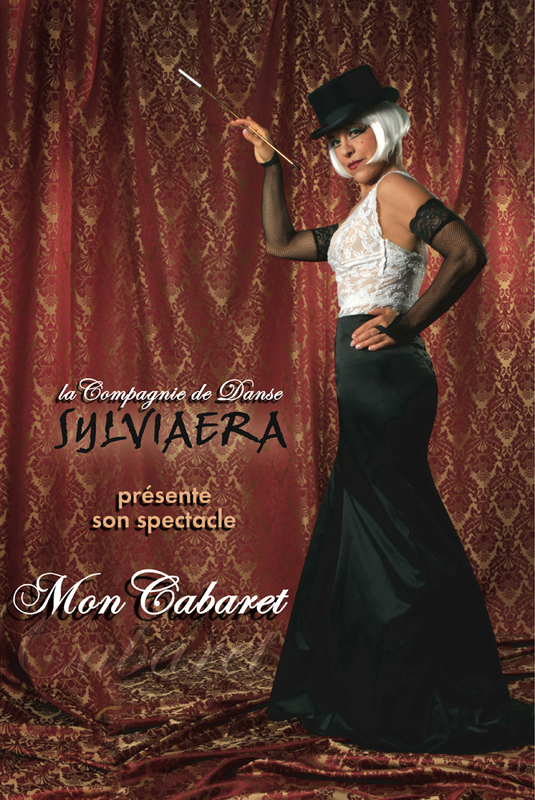 “Satine”, the theatrical character in the new dance show “Mon Cabaret”, invites you in an ambiance of French Cabaret: A production of class where music, original visual theme innovations relates to “Moulin rouge”, Charleston, French Can-can and most of all, Dance…Dance! Historical costumes: 1920 crazy years, Bibi, tuxedo, Mister “Al Capone”, cigars, high hats, long dresses, flirty Charleston dresses, French cancan, white feathers and much more! An innovating visual concept: a well dosed blend between the modernity of the “Dancing Shadows” (an exclusivity by SYLVIAERA) and Chicago’s 1920s prohibition years. A hushed cabaret ambiance: Jazz, music, French and English singing, Swing, Fosse, Broadway, “An American in Paris”, choreographies and seduction from those crazy years.